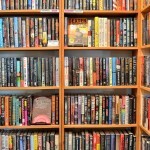 When it comes to rare and used books Denver has a hidden treasure…Printed Page Bookshop…a used book store tucked away in a charming Victorian house on South Broadway’s Antique Row in Denver. We’re proud to be ranked #3 On Westword’s list of the 10 Best Bookstores in Denver. Printed Page Bookshop is a co-op composed of more than 20 different booksellers. We’re part of a vanishing breed – the independent, used book store that’s part of a neighborhood. 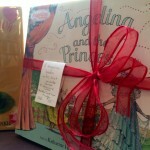 What keeps us going is our love of books and the lasting relationships we form with our customers. We see ourselves as a relationship-based haven for readers and collectors to “talk book.” Printed Page is clean, cozy, well-lit and friendly. 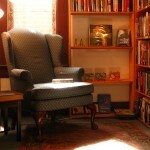 People are always telling us that browsing for books in our comfortable Victorian house is a real pleasure. Because of the variety of booksellers at Printed Page, we offer a correspondingly wide variety of books –and we’re also a good place to talk to when you have books to sell. 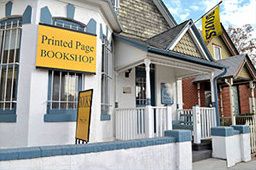 At Printed Page Bookshop in Denver our focus is to find interesting books, price them affordably, and put them in the hands of readers and collectors. We like knowing what our customers’ interests are so that we can find them books they want, whether it’s a volume from their childhood or a first edition of an author they love. And we love talking to folks about books and sharing the knowledge we’ve gained from years of reading, buying and selling books. The co-owners of Printed Page are John Frantzen and Dan Danbom. After spending 37 years in the printing, copying and duplicating business, John finally came to be involved in something he’d dreamed about for a long time…owning a bookstore. He has long been a voracious reader and collector for over 30 years and has built a sizable collection. Dan was a speechwriter, book reviewer and collector whose mentor in the antiquarian book business was legendary Denver writer and bookseller John Dunning. Dan’s interests are in modern first editions, vintage children’s books, Western Americana, history, fine bindings and other interesting and unusual books. Dan is a graduate of The Colorado Antiquarian Book School. Our booksellers represent former and current librarians, lawyers, natural resources specialists, teachers and writers, among others. They bring more than a century of book knowledge to the shop. 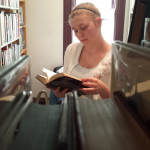 Printed Page is a member of the Rocky Mountain Antiquarian Booksellers Association.